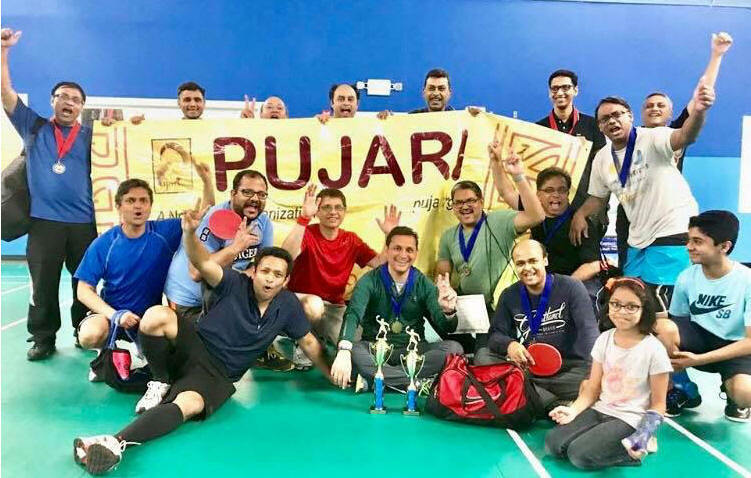 Pujari, Atlanta’s Bengali socio cultural nonprofit organization, hosted a badminton and table tennis tournament for its members on March 31 and April 1st. The event became a huge success with around hundred participants including players, family, and volunteers. Pujaris mission is to promote Bengali and Indian culture by organizing various cultural and community events. Beginning last year, Pujari has begun to host sports events for its members. 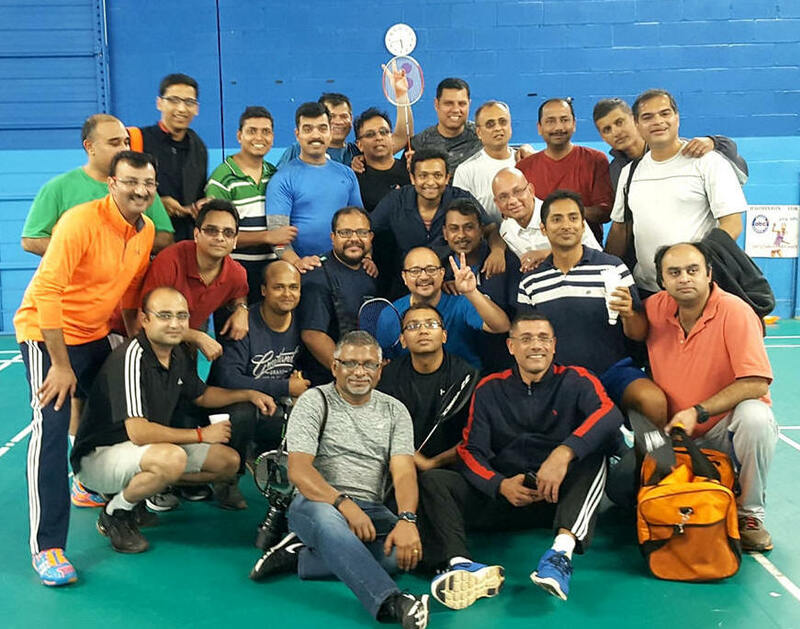 This was their first member exclusive Badminton and table tennis tournament. Badminton is a popular sport in Kolkata, especially for the winter months. This event brought reminisces of the old memories that many grew with. The badminton tournament was held on March 31st, and the table tennis tournament was held on April 1st. 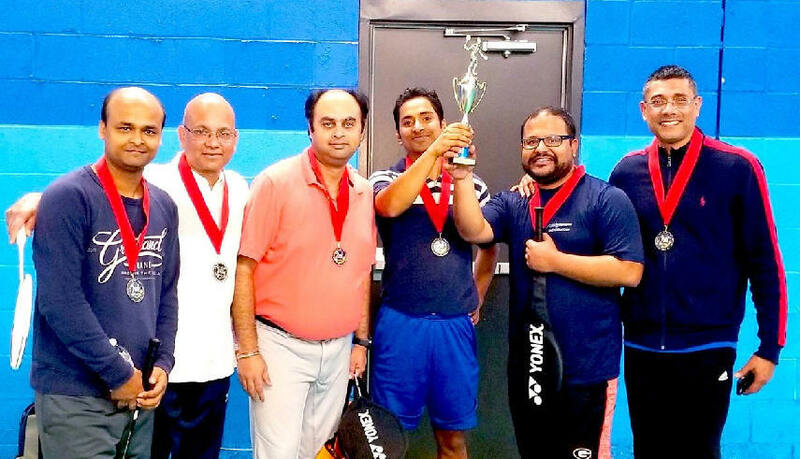 It was held at the Atlanta Badminton Club located at 3975 Lakefield Court, Suwannee, Georgia 30024 from 12 pm to 6 pm. The tournament was team based to involve players from all levels. Each team has six players and it was arranged so that players play other players from other teams who play at similar levels. Each game was to be played for only one set, and the player winning the set wins the game. And all points were to be counted, thus each player can earn a maximum of 21 points for their team. This ensured that all games were equally important, and each player, irrespective of their ability have fun, and play an equally important role. The badminton tournament was very well contested. Players of most team were seen in the ABC many days of the week practicing. Many took private lessons from the head coach Sai as a preparation for the event. The event generated great passion and comradeship, as well as a healthy competition, and all gained by more exercise. 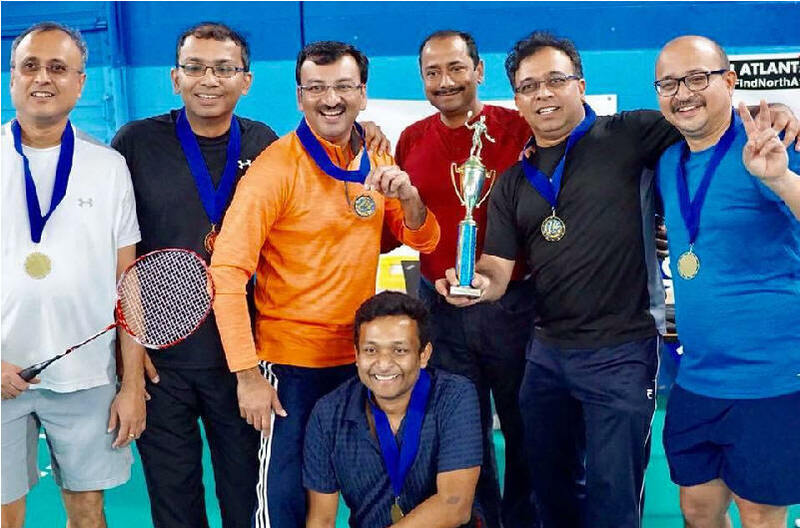 The badminton event was won by Group B comprising Nachiketa, Arunavo, Sougato, Arnab, Ankur, and Sam won the event with great all-around display. Their captain Nachiketa, led the team well and marshalled all his players effectively. 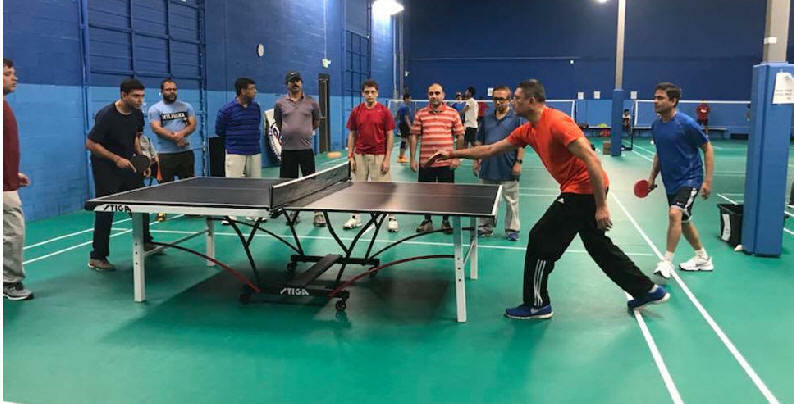 There was tough fight for the second spot between Group A and Group D. Finally, Group A, comprising Pancho, Souren, Suddhasish, Pabitra, Kingshuk, and Prasenjit prevailed with dogged determination. Pancho, Group A’s captain caused major upset by winning against Nachi and Neil, the two best badminton players in Pujari. He eventually won all 6 of his matches (21-9,21-18, 22-20, 21-8, 21-7), and helped Group A secure the second position. 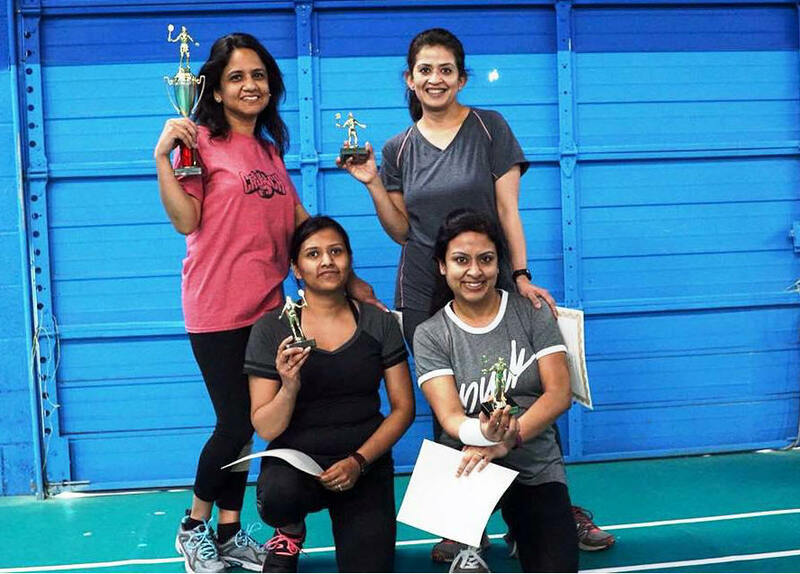 The women’s badminton was won by Mohana with 96 points. Mayuri got 87 points and came second, followed by Sukanya with 80 points. Raja, Ambarish, Joyjit, Suddhasish & Kaushik. It was a great contest and all players showed full commitment and sportsmanship. In the end all were happy. These was 2 days of great fun. The families came to cheer the players and the teams. Chandra, he owner of ABC was there all along and supported the endeavor. Pujari’s president Raja Roy, and Kallol Nandi distributed prizes to the winning teams at the end. 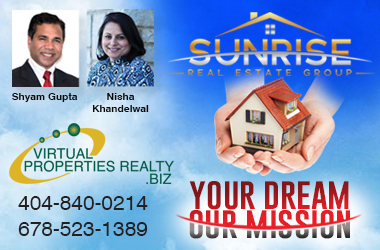 Everyone praised Ankur Sur, the chief organizer, along with Nachiketa Nandi for making this event possible. 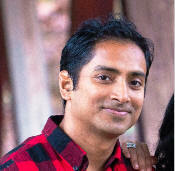 Dr. Panchajanya ‘Panch’ Paul, MD, ABIHM, ABPN, FAPA - is an American Board certified - Child, Adolescent, and Adult psychiatrist. He is a diplomat of the American Board of Integrative and Holistic Medicine, and a Fellow of the American Psychiatric Association. He holds adjunct faculty position at Emory University School of Medicine; University of Georgia, and University of Central Florida School of Medicine. He sees patient at the Georgia Behavioral Health Professionals.